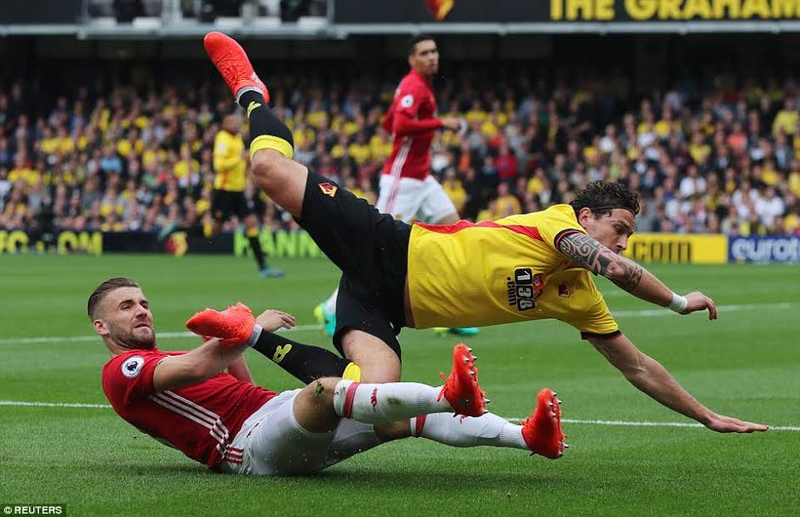 Jose Mourinho's Man United 'redemption work' is now in tatters. 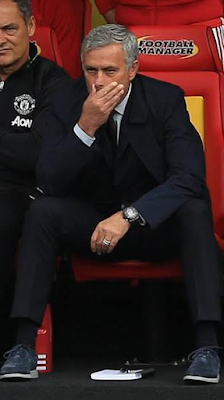 Following a transfer outlay of almost £150m (almost £100m for Paul Pogba alone), and three losses in the last three games (Man city, Feyernord, and Watford) it's safe to say Jose Mourinho's dream of making the club the World's most feared club is kinda fading. 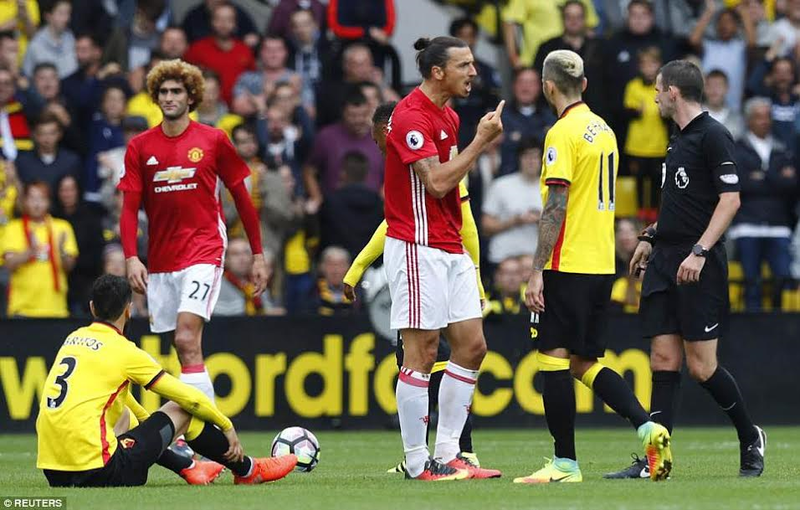 The last time Manchester United was beaten by Watford was almost 30 years ago, so one might start to wonder will Mourinho break records negatively just like his predecessors Louis van Gaal and David Moyes? Despite a Rashford equaliser, goals from Etienne Capoue, Suniga and a penalty by Deeney were enough to secure three points for Watford. 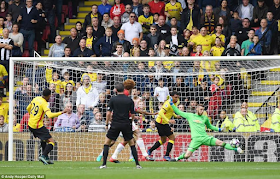 Watford started the first twenty minutes in impressive form with Ighalo missing a sitter and Deeney testing the goal keeper but it wasn't long before the first goal of the encounter came. 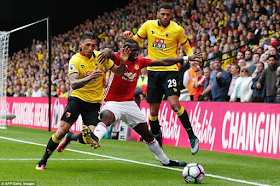 Martial collecting the ball after a corner kick tried to contol the ball with his team mate Luke Shaw overlapping on the left side anticipating a pass from Martial, Martial was well tackled before a pass from the right side found Capoue who slotted the ball calmly into the net. 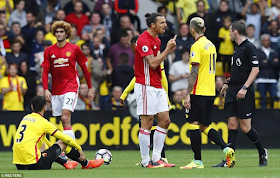 Watford's tactics of playing with Ighalo and Deeney pressing Man U's wingers worked in the first half and left the Old Trafford club frustrated in the first half. 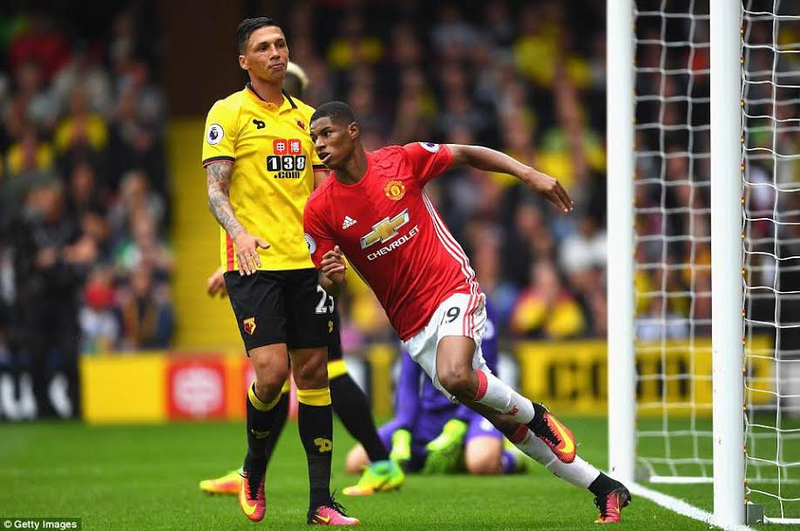 Martial suffered a concussion and was substituted before halftime by Ashley Young- a Watford native. 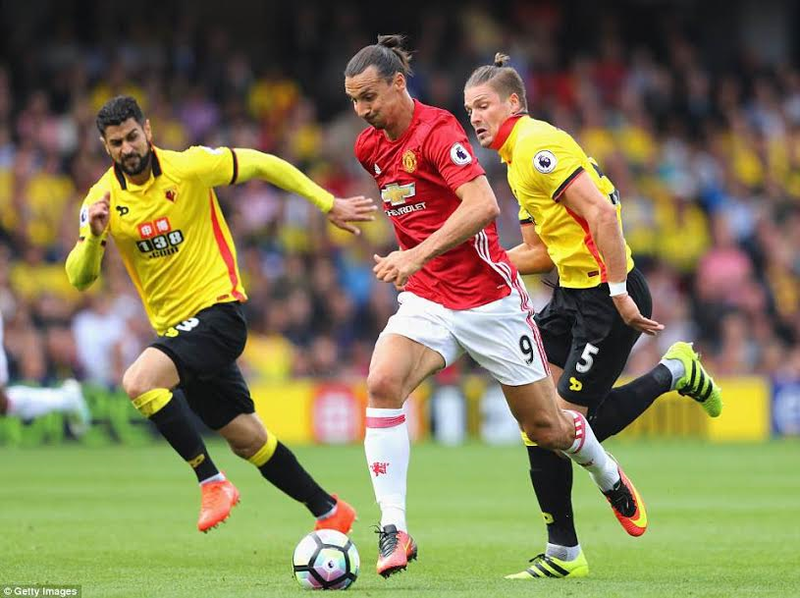 Man U resumed the second half with still no changes, Mourinho tried to alternate the shape of the team by urging Rashford and Rooney to play more centrally and it paid off in the 62nd minute as Rashford scored after some good footwork by Zlatan Ibrahimovic. 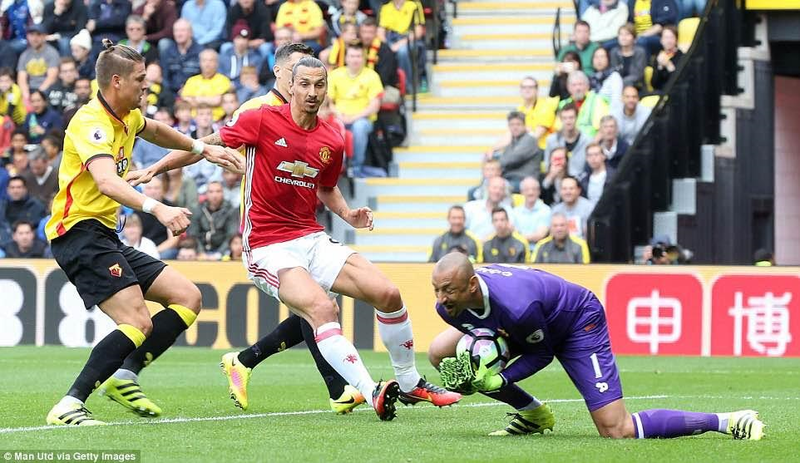 Zlatan, Mata and Pogba occasionally showed flashes of brilliance but it all wasn't enough. 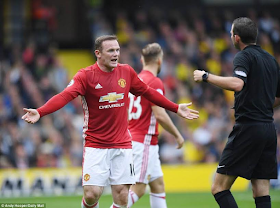 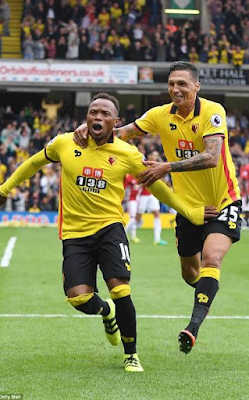 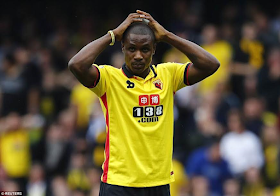 Watford stunned Man U again in the 84th minute when substitute Zuniga scored the London's club second goal of the day. Mourinho introduced Depay to salvage soething out of the game but it was as pointless as it was worthless. 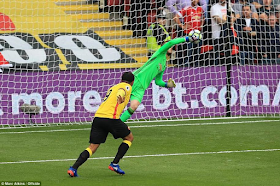 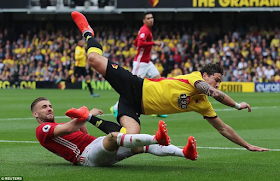 Fellaini then commited a foul in Man U's penalty area in extratime and Watford captain Troy Deeney didn't waste time in slotting the ball past goalkeeper David De Gea. 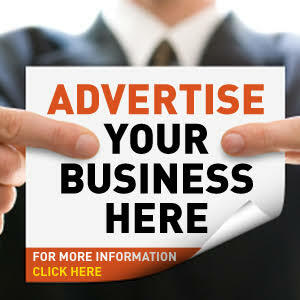 If Mourinho doesn't want the fans to turn on him, he should start delivering... and fast.. 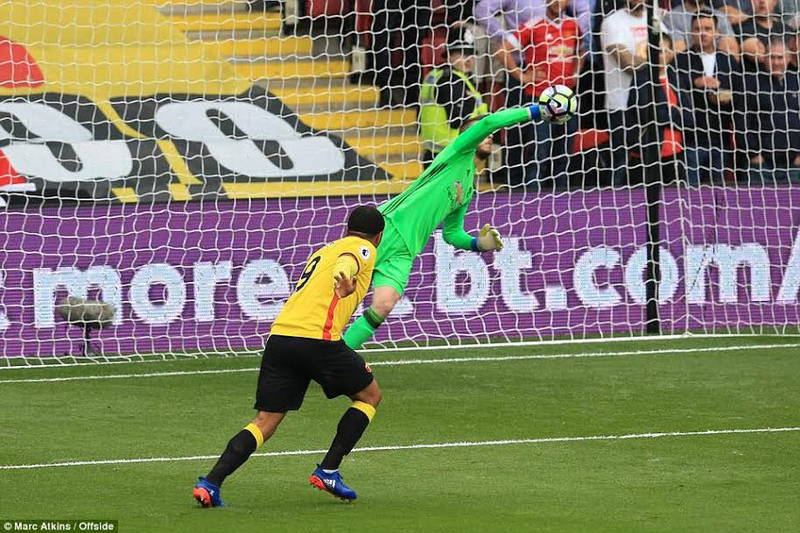 There are a whole lot of things £150m could get you, but today's performance isn't one of them.